PARIS -- French carmakers and suppliers will present their case for government aid Tuesday during a summit on bailing out the country's troubled automotive industry. The one-day meeting between auto industry executives, labor leaders and government officials is expected to lay the groundwork for new state initiatives aimed at helping companies survive the economic crisis. 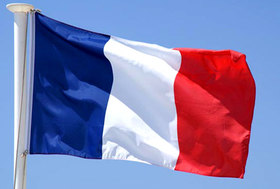 In return for state aid, France's Industry Minister Luc Chatel told France's Le Figaro newspaper that the government may seek to boost its existing 15 percent stake in Renault and could also demand an equity share in PSA/Peugeot-Citroen. "Carmakers do not necessarily need equity, but in exchange for our financial support, taking a stake could be considered in certain cases," Chatel said. President Nicolas Sarkozy and senior government officials have said that carmakers will have to keep production in France and renounce dividend payments to shareholders in return for state aid. New government support "will not be a gift," Chatel said. Aid under discussion includes government loan guarantees and convertible bonds, additional funds to help troubled suppliers and tax relief. Renault and PSA have presented a united front in the run-up to the summit, focusing on their urgent need for affordable credit to finance their dealers' inventory, customer purchases and other operating expenses. The two carmakers' captive financing arms each received 500 million euro loans last December from the government's financial sector bailout fund. With the cash crunch making credit hard to come by, the carmakers say much more financing assistance will be needed over the coming year. Renault's annual financing needs are near 9 billion euros, executive vice president sales Patrick Blain said earlier this month. PSA has annual credit needs of more than 5 billion euros for its autobank PSA Finance and as-yet undisclosed needs for other expenses, according to company officials. While carmakers will get most attention during the summit, dealers, suppliers and unions will also seek their share of public aid. Supplier executives will feature prominently in discussions on technological innovation, maintaining employment in France and relations between the key players in the automotive sector. Sources have said that Sarkozy will most likely release final support measures later this month.